In the different stages of our lives, we’ve all been taken care of, we’ve all took care of someone dear to us and, at some point, we all had to take care of ourselves. But did we ever stop and think about how we do it? 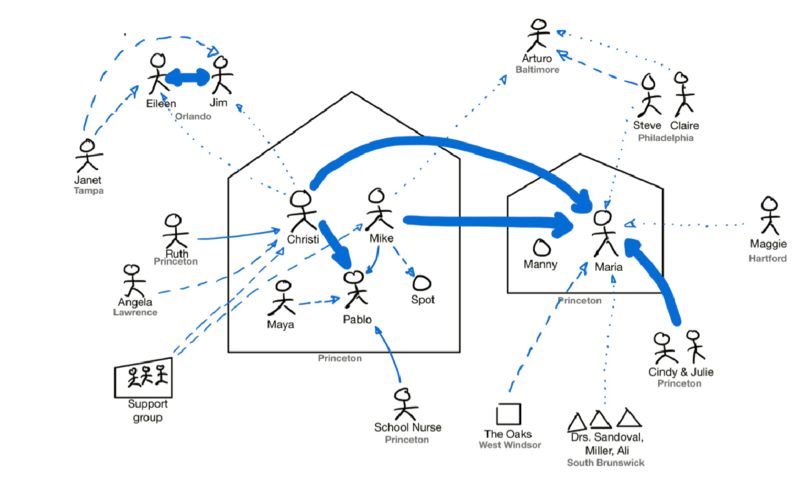 How does our caregiving network look like and how can we use information design to understand it and make sense of it? 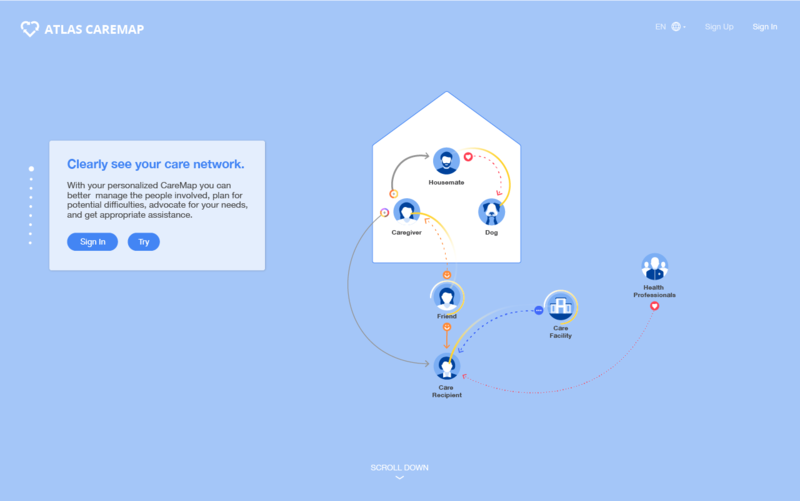 We worked with Silicon Valley non-profit Atlas of Caregiving to imagine and develop a digital tool to do just that, using design to guide people in understanding and learning from their own situation and —ultimately— to help them improve their lives. Atlas of Caregiving’s mission is to catalyze a transformative change for family caregiving through innovative research, practical solutions, and rich collaboration. The first concrete solution developed by the organization is the CareMap, a visual representation of a particular family’s care ecosystem. 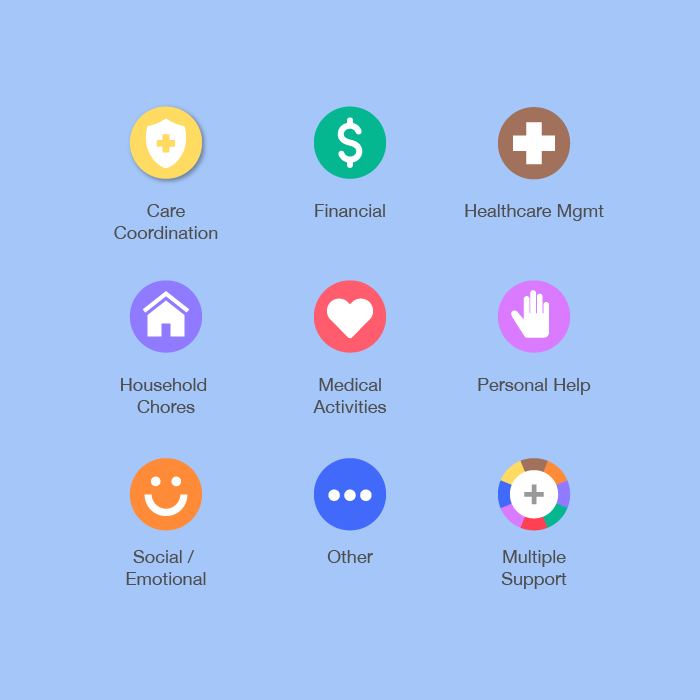 Initially developed in 2012 and later refined in 2015, the Caremap started as a hand-drawn tool to provide a new perspective on a person’s position as a family caregiver, their support system, resources, and needs. Since 2016 hundreds of people in the US and abroad have participated in CareMap Workshops designed to foster deep self-awareness and peer-to-peer learning, helping individuals, families and communities better understand and manage their care situations. The success of the CareMap Workshops strengthened the case for developing a digital tool and, In 2017, Atlas of Caregiving, with support from AARP and the Santa Barbara Foundation, hired Accurat to imagine and create the first digital CareMap. In 9 months, Accurat conceptualized, designed, built and released the publicly available Atlas CareMap, a digital tool imagined as the natural evolution of the original paper-based Caremap. Starting from the existing Caremap and from the methodologies developed by Atlas of Caregiving during the workshops, Accurat designed the online counterpart of a collaborative system that involves multiple variables. The main goal of the collaboration was to faithfully replicate in the digital space the very analog and human experience of supporting people and guiding them in the process of hand-drawing their care network. Accurat designed a digital experience that mirrors the way Caremaps workshops are conducted, allowing people without any prior knowledge of the system to use their computers and tablets to intuitively draw their caregiving ecosystems, thus enabling a deeper understanding of their own situations. 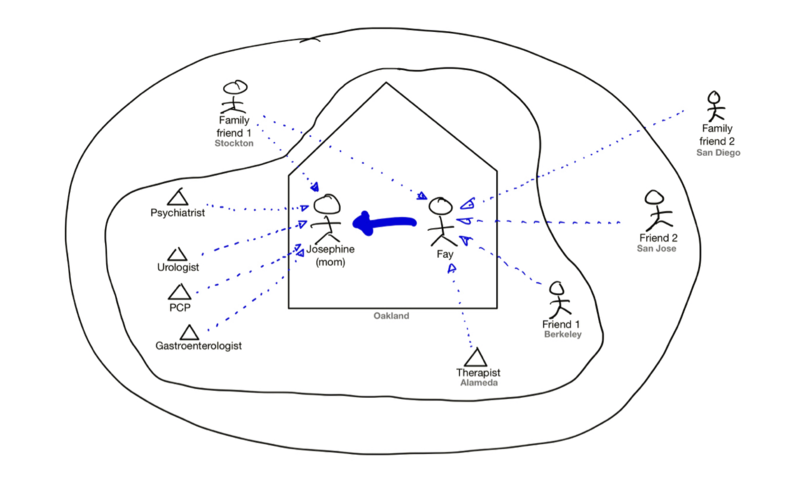 Users are guided in a three-step process that teaches them what Caremaps are useful for, how to quickly start drawing their own and how to enrich it, to ultimately make them realize how they can put the data they generate to use and leverage it to adjust and optimize their routines and care networks. One of the biggest challenges we encountered while designing the Atlas Caremap was creating a simple and friendly interface that made the drawing experience as welcoming and intuitive as possible for anyone, while at the same time providing social workers, healthcare professionals and institutions with a powerful and flexible tool that could be adopted at scale. The final result mixes step by step video drawing tutorials and a clean but warm visual language with rich data-driven filtering and analytics capabilities, addressing with a single interface the needs of both a general non-expert audience and industry professionals. The application was also designed to be used seamlessly on multiple devices and with different input methods, allowing users to draw their Caremaps indistinctively with either a mouse, with a touch device or with advance peripherals such as the Apple Pencil. 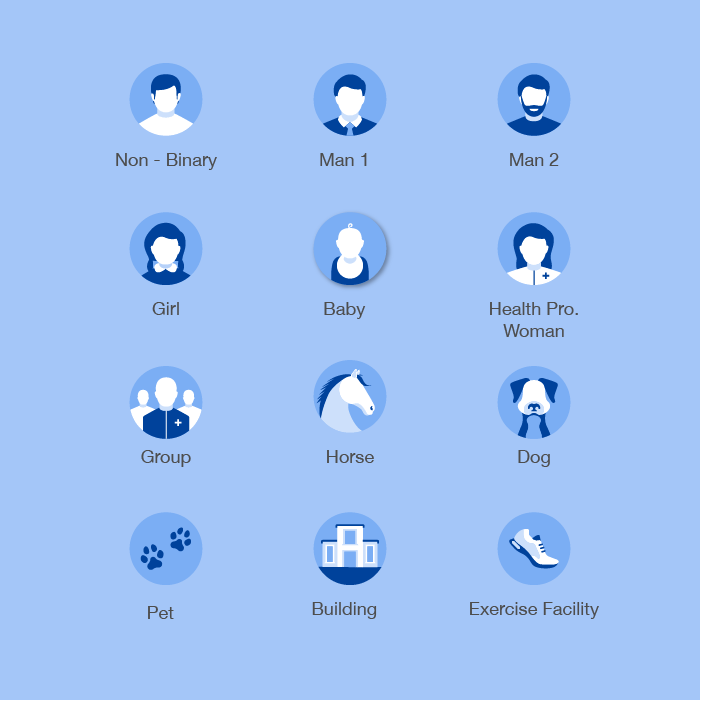 Users can customize their actors choosing among 24 different detailed icons of people, pets and objects. Accurat and Atlas of Caregiving collaborated closely to find the best way to visualize an information that was hidden in the original hand-drawn maps: the types of support that actors provide to one another. 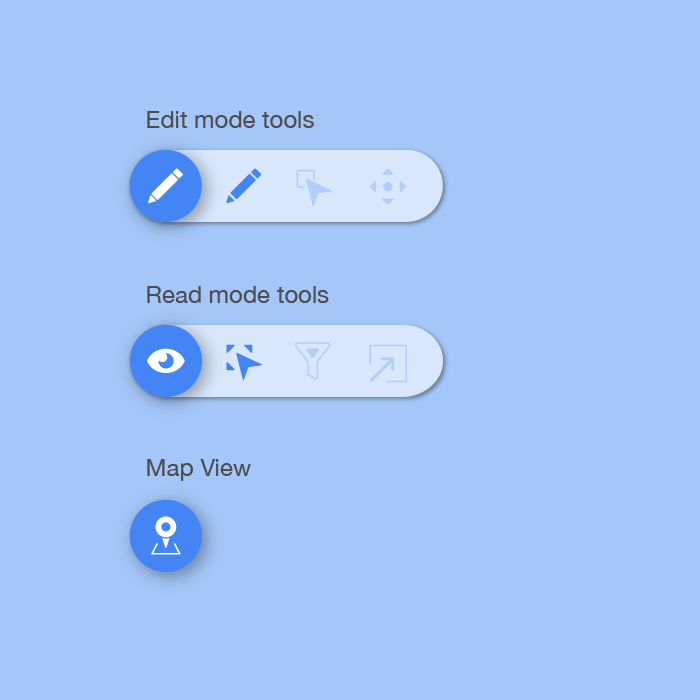 Atlas CareMap makes available three different view modes with dedicated tools. 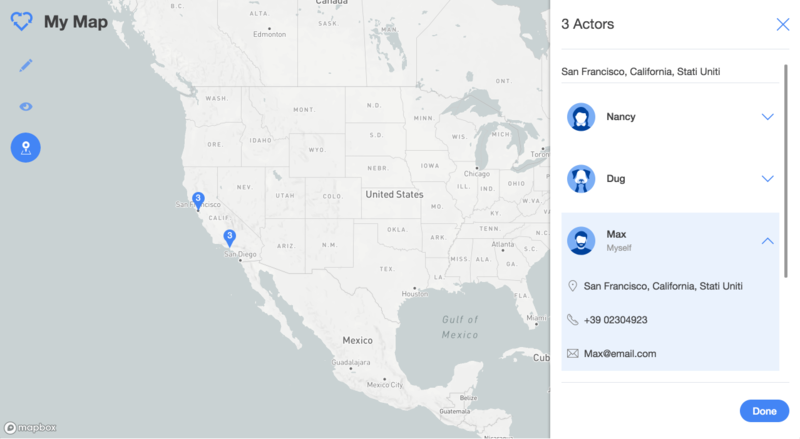 In Edit mode users can create and customize their CareMaps, they can explore, filter and export them in a printable PDF in the Read mode and see the actors in real geography using the Map View. To meet the ambitious timeline and get from concept to market in only 9 months of product design and development, Accurat’s multidisciplinary team of information designers, user experience designers and front-end and back-end developers adopted an agile methodology from the early stages of the project and collaborated closely with the Atlas of Caregiving leadership —a navigated team of illustrious Apple, Adobe and Intel veterans, with many successful product launches under their belts. The close and frequent contact and the short feedback loop made possible by our fast-prototyping-based design process allowed us to quickly adapt to inevitable unexpected circumstances and helped keeping the project on track and within budget. The Atlas Caremap has been released as a publicly available web-based tool,is now being used in local communities in California and throughout the United States and has proven to be transformative, helping individuals, families and communities better understand and manage their care situations. Drawing the CareMap brings to light previously unrealized sources of support and aid and calls attention to some of the factors that may contribute to family caregivers feeling stressed, overwhelmed, or unsupported. By facilitating important conversations about caregiving, the Atlas CareMap is changing the way we think about care and paving the way for transformative change. The data that is being anonymously gathered by the platform is also enabling new research rooted in a deep analysis of care ecosystems in society.